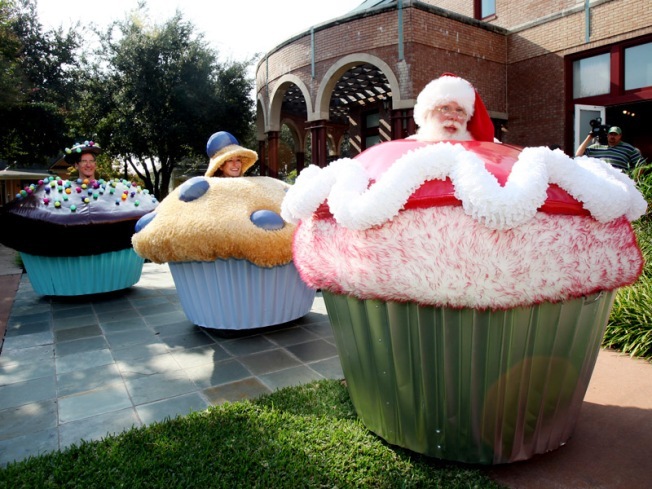 $25K Cupcake Car, A Nod to Recession? With even super affluent shoppers tightening their Gucci belts, luxury retailer Neiman Marcus Group Inc. unveiled its Christmas Book Tuesday with a nod to this new frugality. More than 40 percent of the gifts in the catalog's 83rd edition cost less than $250, including plenty of practical items, though the prices are still out of reach for the average American. New items include $75 plaid stockings, $235 Italian wool scarves, $100 Ugg slippers, $175 cases for iPhones and $250 Ralph Lauren rain boots. "Tokens of affection don't have to be extravagant to be brilliantly received," the book's introduction imparts. Plenty of extravagant gifts offering shoppers escape from the tumult in the financial world remain. There are limited-edition $105,000 Jaguars, motorcycles for $73,000 and a $25,000 "Cupcake Car" custom-made of colorful fabric, wood and sheet metal and powered by a 24-volt electric motor. For especially "green" shoppers, there's an eco-friendly chandelier made of 366 plastic bottles rescued from the landfill. Yours for just $12,000. The Dallas-based chain and its luxury competitors are being forced to adjust their inventory and prices as their well-heeled clients splurge less and stay focused on practical items since the financial meltdown ballooned last fall. While luxury stores' sales have stopped falling in recent months, they remain weak -- and worse than for U.S. apparel stores overall. Neiman Marcus, privately held since 2005, reported last month that its fiscal fourth-quarter loss widened compared with a year earlier as revenue fell 26 percent and consumers kept a lid on their spending. For the quarter that ended Aug. 1, the retailer reported a loss of $168.5 million, compared with a loss of $35.6 million a year earlier. Revenue fell to $768.1 from $1.03 billion last year. For the full fiscal year -- as revenue fell 21 percent to $3.64 billion from $4.6 billion -- the retailer lost $668 million, compared with a profit of $142.8 million a year earlier.